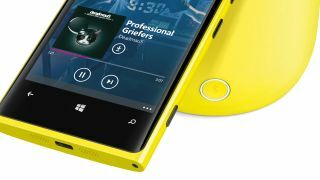 Nokia has updated its Music app for Lumia phones with a new premium subscription option it is calling Music+. For just €3.99/$3.99 a month, users of the existing Nokia Music streaming service can upgrade to Music+, which gives them unlimited skips in the Mix Radio portion and unlimited downloads for offline playback. The service also brings in audio at a higher quality and karaoke-style lyric sheets for the song users are currently listening to. Users will also be able to stream music from a web browser, making Music+ a suitable Spotify alternative on both desktop and mobile. Non-premium subscribers will still be able to access the 17m tracks already available through Mix Radio, which brings over 150 specially curated playlists and the opportunity for users to create custom playlists from the library. Jyrki Rosenberg, VP Entertainment at Nokia, told the Nokia conversation blog: "It's the only smartphone music service out there offering access to millions of songs out of the box without the need to sign up, sign in, or suffer adverts in between enjoying the music. "When you add in the ability to skip songs and save playlists for offline uses like the tube, you have something unique. "This is for people who care enough about music to pay something for more quality and choice, but don't want to pay €9.99 monthly." The new Music+ app will roll out in the next couple of weeks throughout the US and European territories.